We honour our troops and veterans on Memorial Day, Monday 27 May 2013. 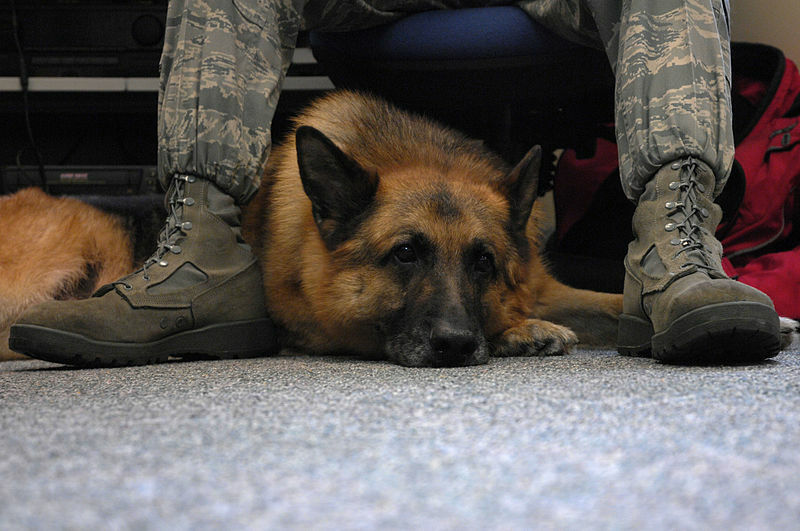 The above photograph shows Explosive Protection Military Working Dog Whiskey relaxing between the feet of his handler. The use of dogs in warfare goes back to ancient times. The US K-9 Corps was created on 13 March 1942.